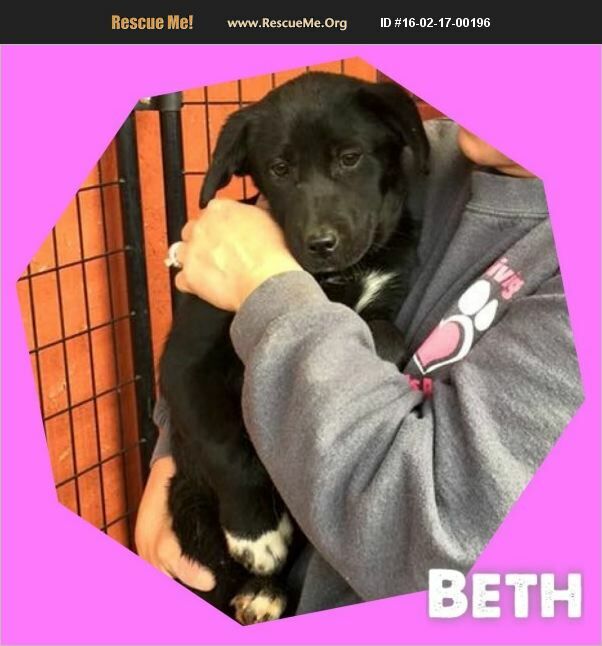 Beth and her mother and 2 other sister were found on the side of a county road deep in the woods. She will need some time to come around as it took a team to catch her. She will need time to learn she can trust humans but once she is in your arms she eats up the attention! She is around 4-6 months old and will be spayed before adoption she weighs about 10-15lbs currently will probably be around 50-65 lbs full grown. To ADOPT you will need to go to our website @ www.furgivingheartsrescue.com Go to the FORMS page of the website and click on the button to download the application adoption. Then you can either save it to your computer or print it. If you save it to your computer and fill it out on the computer you can email it back in. If you print it and fill it out you can scan and email it back or fax it. To fax it in please send it to 903-705-7727 or email it to our email address at; furgivingheartsrescue@yahoo.com If you know someone interested in applying for adoption and they do NOT have access to a computer and are not able to access the foster application or adoption application please send us a private message we can make arrangements to get them one.